Wild mushroom stuffed chicken in pancetta - home cooked food delivered. 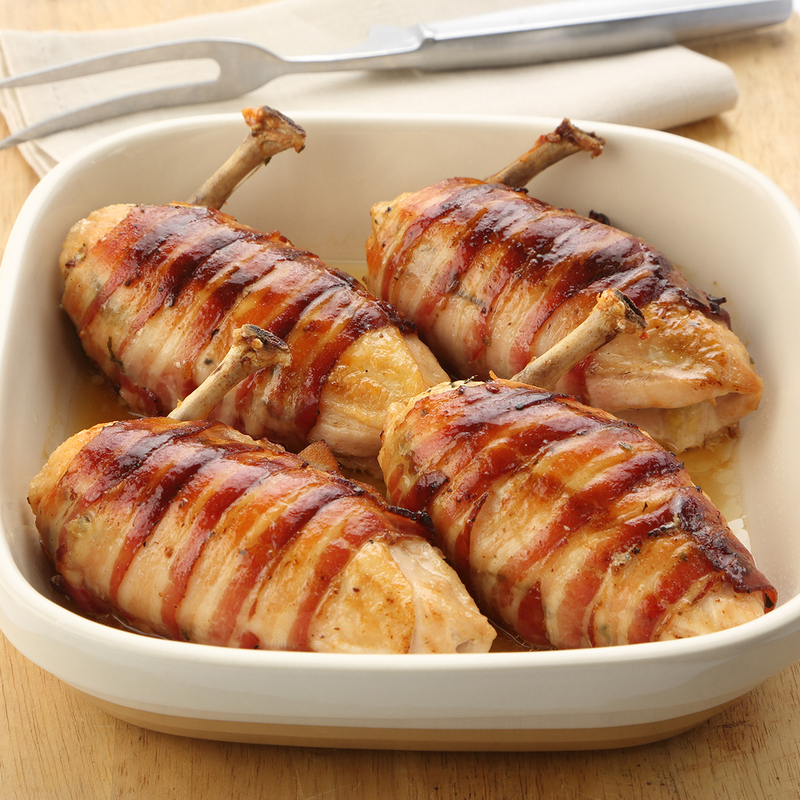 Plump and tender chicken breasts stuffed to bursting with thyme and the deep, earthy flavour of wild mushrooms, wrapped up in rashers of salty pancetta for a main course that never fails to impress. A great dinner party centrepiece or a yummy treat for the kids! Chicken breast, wild mushrooms, pancetta, fresh thyme, unsalted butter (MILK), chicken stock, seasoning. Remove contents from packaging and place in a roasting tin, cover with foil and put in a preheated oven at 180c for approx 15-20 minutes or until piping hot. Keep refrigerated and use within 3 days or freeze immediately.